The June issue of Popular Woodworking is now in stores on both sides of the Atlantic, and carries my feature on Karl Holtey (including quotes from interviews with Chris Schwarz, Wayne Anderson, Raney Nelson and Konrad Sauer). 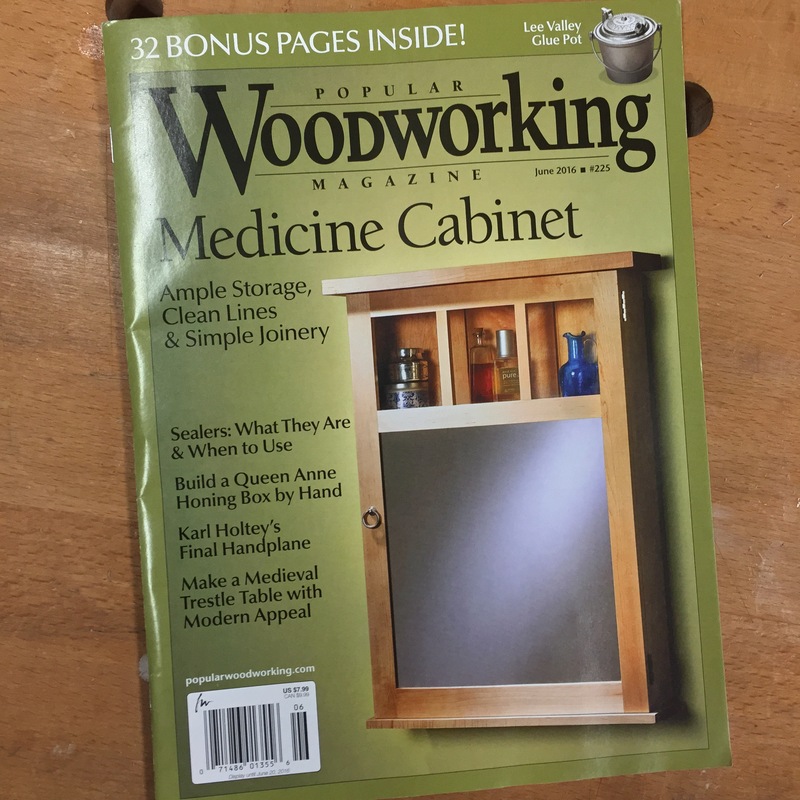 Also featured is a staked table project by Chris, Megan’s medicine cabinet, and Peter Follansbee’s excellent regular column. My copy landed on my door mat yesterday, and it was a real buzz to see my words nestling amongst articles by such well acclaimed woodworkers and writers. Great article Kieran, and congrats on seeing all that hard work come to print! Thanks Jim, really glad you enjoyed the article! All being well, this won’t be my last article for PopWood.